With the advent of technology, we have all been using computers more and more and handwriting less and less. Apart from the fact that handwriting is very important when technology fails or cannot do the task at hand, there is a significant reason why children should still be taught how to write cursively, i.e. “joined-up”. 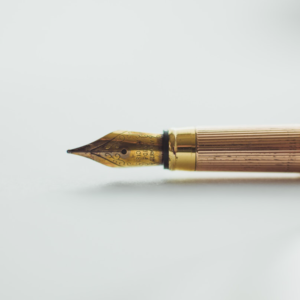 The benefit of cursive writing has been examined in numerous studies and has been shown to improve brain development, significantly for critical thinking, language and working memory. It has also been proven that cursive writing stimulates the brain synapses and the connection between the left and right-hand brain. Typing and plain old print writing do not help development to the same extent. Specifically for written work and education, cursive writing enables children to write neatly at speed and with efficiency, whilst also helping to increase understanding of the subject matter. In fact, the Indiana University found that when asking children to perform letter learning tasks “the neural activity was more enhanced and ‘adult-like’ than in those who had simply looked at letters”. Furthermore, their research showed that cursive writing improved students’ motor skills, visual skills, hand-to-eye coordination, spatial awareness and hand dexterity. Cursive writing is slower than typing and there gives more time for the brain to process what it is writing, therefore allowing ideas to develop. Seifer has examined many studies and finds that there is a commonality that shows as children develop, the ones that have learnt to write cursively have better memory retention and more of the brain is used. When a child or adult writes by hand the region of the brain for reading is activated and this does not happen whilst typing! Handwriting requires the use of the motor cortex part of the brain, which typing does not. The motor cortex is responsible for any voluntary movements you make. So by using cursive handwriting you are automatically strengthening these connections in the brain. When a person’s cursive handwriting becomes fluent and automatic there is less need to focus on letter formation and more brain power can be allocated to remembering what they are reading and writing. This also allows them to understand what they are learning just by simply writing it out. Interestingly, a published American study ‘The Pen Is Mightier Than the Keyboard’, states that writing by hand improves a persons ability to memorise way beyond childhood and that in general using a laptop or computer can actually impair a student’s learning as they are processing information in a much shallower and impermanent way.